We are committed to protecting the privacy of your personal information. For us the customer is a human not the transaction. Information Mr. 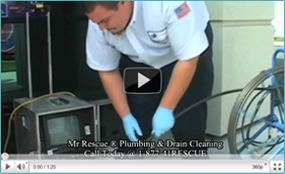 Rescue Plumbing and Drain Cleaning of Sunnyvale collects and how it is used: : Mr. Rescue Plumbing and Drain Cleaning of Sunnyvale collects certain information to enable you to take full advantage of our offers when you register at our site, order products or services, surveys, promotions, or activities, or otherwise communicate with us. If you choose, you can visit MrPlumbingDrainCleaning.com without providing us with any information about yourself. Mr. Rescue Plumbing and Drain Cleaning of Sunnyvale collects both personally identifiable and non-personally identifiable information from users of its website. When you register with Mr. Rescue Plumbing and Drain Cleaning of Sunnyvale, we may require you to give us contact information (such as your name, e-mail address, and physical address). We may also use the information we collect in combination with outside records to notify you about important changes to the website, new Mr. Rescue Plumbing and Drain Cleaning of Sunnyvale services and products, and special offers and information we think you'll find valuable. We may collect certain non-personally identifiable information about you when you visit our site, such as the type of browser you are using (e.g., Netscape, Google Chrome, Safari, Mozilla, Fire Fox Internet Explorer), the type of operating system you are using, the referring site from which you came (e.g., a partner site), and the domain name of your internet service provider (e.g., Google, Yahoo, MSN, Bing, America Online, EarthLink). If you choose to receive promotions, newsletters, and/or other types of correspondence from us, the correspondence that you receive will originate from MrRescuePlumbing.com or the provider network, and your personally identifiable information will continue to be solely maintained by Mr. Rescue Plumbing and Drain Cleaning of Sunnyvale. If you registered with Mr. Rescue Plumbing and Drain Cleaning of Sunnyvale or its website through a third-party website or if you registered with a third-party website through Mr. Rescue Plumbing and Drain Cleaning of Sunnyvale or its website we may need to report certain information to that website as is necessary. If you come to Mr. Rescue Plumbing and Drain Cleaning of Sunnyvale or its website via a co-branded partner and transact business with us, the information you provide may be collected and used by Mr. Rescue Plumbing and Drain Cleaning of Sunnyvale as well as by the co-branded partner from whom you came. Mr. Rescue Plumbing and Drain Cleaning of Sunnyvale is not responsible for the use that the co-branded partner makes with this information. To help you identify when you are on the Mr. 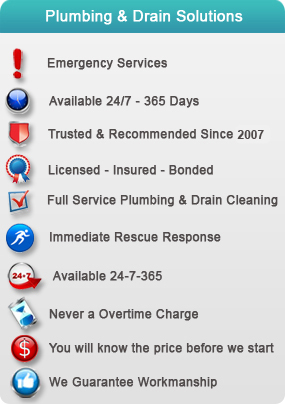 Rescue Plumbing and Drain Cleaning of Sunnyvale website we place our logo in the upper left corner to indicate that you are within our website. Finally, Mr. Rescue Plumbing and Drain Cleaning of Sunnyvale may provide aggregate statistics about our customers, sales, traffic patterns, and related site information to reputable third-party vendors, partners, service providers, or to the press. Aggregate statistics contain only non-personally identifiable information.